Total Knee Replacement in Toccoa Solved for a Fraction of the Cost! Are you a candidate for total knee replacement surgery in Toccoa? Arthritis is a leading cause of knee damage in the Toccoa area can be due to rheumatoid arthritis or osteoarthritis, secondary to wear and tear over the years, or by a catastrophic knee injury. 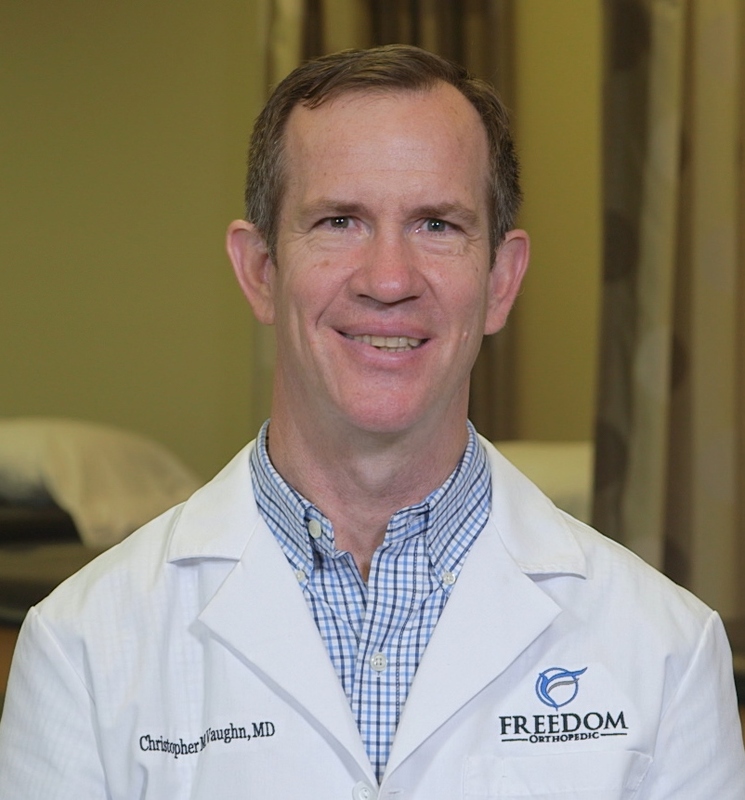 If you are suffering from a steady pain in your knee while you attempt typical daily activities, Freedom Orthopedic has orthopedic specialists that would love the opportunity to evaluate you. First line treatments often consist of rest, medication, and therapy. However, in some cases, cartilage may be too worn down or the bone structures are simply too destroyed to have a proper response when based on conservative remedies. Total knee replacement, commonly referred to as knee arthroplasty, may be the last resort option, especially for those patients that are over 50 years of age. The good news is that knee replacement surgery, when compared to other orthopedic surgeries, remains one of the most successful. Patients in Toccoa who are looking for total knee replacement can expect your Freedom Orthopedic surgeon will displace bone and cartilage that is heavily damaged or diseased, from the top of your tibia, or shin bone, and implant a flat metal plate and stem. Following this action, your orthopedic surgeon will attach a synthetic insert into this tibial tray. This insert will function as the new weight-bearing surface. Your surgeon will then shape the lower bone surface of the femur, or thigh bone, and attach a contoured metal shield that will move smoothly against the new surface of your lower leg. Though most of your knee will be replaced, the original knee cap may be retained or replaced with a synthetic one. Two hours is the typical length of this procedure.